This article is part of a series about How to Become a Bestselling Author. If you don’t know my story yet, I’m a writer (just like you). The only difference is that I got into publishing (a few years after graduating college) to figure out how to get my books published (love poetry). 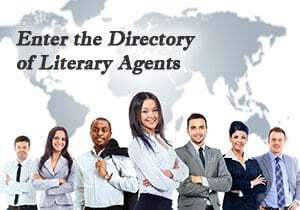 I applied for a job to become part of a literary agency called New Brand Agency Group. I was a Psychology and Communications major, not an English major. And I had no experience. But the gentleman who hired me chose me out of the 100+ applicants. He told me that he hired me because of my passion for publishing and because he knew he could trust me. I would have done almost anything to become a publishing insider and give myself that extra edge. Now I have the honor of mentoring other aspiring authors. So, if you’re talented and committed and coachable… we might be a fit to work together. But only if you’re comfortable getting help. For instance, I like to think of myself as smart and creative. So looking outside of myself sometimes feels false. Inauthentic. Uninspired. Even weak. I have to remind myself that getting help from those who’ve gone before me is wise. That’s because getting help lets you accomplish your goals without the guessing, loneliness, and mistakes that come with trying to do things alone. Your coach can help you see the things that are holding you back. Your coach can help you overcome your challenges. And, your coach can hold you accountable if that’s something you need. My wife, Ingrid Elfver, has this great saying that she shares every time she speaks to an audience. She warns them up front that she’s often a know-it-all… so she has to ask herself these questions when she catches herself thinking she already knows something. Although I know it, am I doing it? If I’m doing it, am I doing it right? And, if I’m doing it right, am I getting the results I want? If the answer to any of those questions is “No” …Ingrid says it’s time to humble yourself and get help. 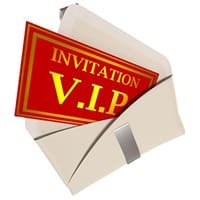 So, if you’re struggling (or you simply want to become a bestselling author faster and easier than you could alone), click here for a special invitation to work with me 1-on-1 as your Bestselling Author Coach™.